WASHINGTON–(BUSINESS WIRE)–GEICO Senior Systems Analyst John James II recently accepted the Mentor of the Year award from the Washington, D.C., chapter of the National Black MBA Association, Inc.
James was honored for his eagerness to share his career experiences and expertise with students, especially those in the chapter’s Leaders of Tomorrow program, which offers leadership, financial literacy, college preparation and career preparation. “Mentorship is important because students need to see up-close examples of what is possible to achieve, and they need to know that there are people who care about them,” James said. James has been involved with Leaders of Tomorrow since 2007, long enough to see his former mentees graduate from college and begin careers. “I am always proud to see program alumni starting their careers and continuing their education. I am especially proud when I see them giving back and serving as mentors themselves,” James said. James himself is a testament to the power of mentorship. As an undergraduate at Atlanta’s esteemed Morehouse College, he was encouraged and inspired by professors, administrators and alumni. When he began his MBA program at Georgia Tech, the National Black MBA Association provided him with support and guidance. He joined the organization soon thereafter. 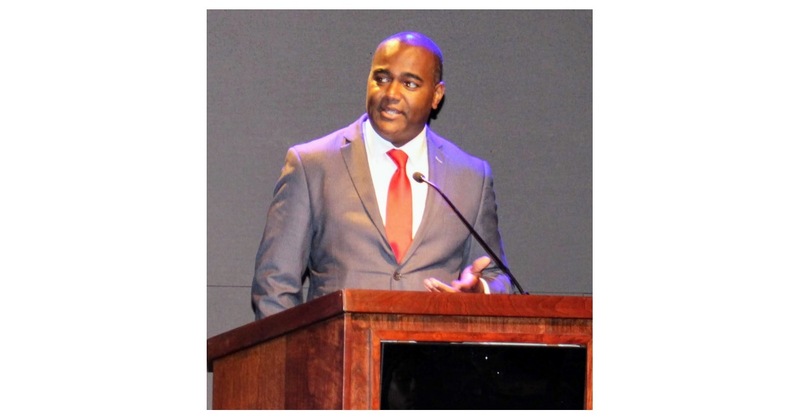 James has been a member of the D.C. chapter of the National Black MBA Association for more than a decade, serving as president from 2011-2014. The efforts of James and the chapter’s other 1,100 members have garnered three National Chapter of the Year awards.